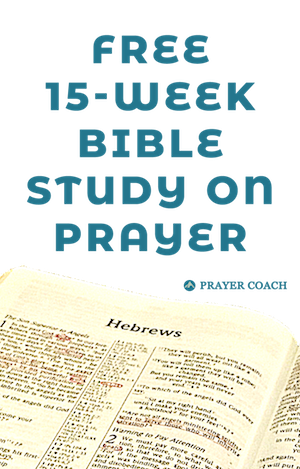 The idea that God wants you to pray for your desires has been a foreign concept for me. For most of my Christian walk, I felt we needed to find out what God wanted and do those things. My desires, I thought, actually got in the way of trying to following God. Everything in me was sinful, therefore I needed to continue to put to death those desires within me, so that I could find the joy in following God. When I came across verses like Psalm 37:4, I assumed I needed to delight myself in the Lord to such I degree that all I wanted were things that God wanted. The biggest problem with this way of thinking was that it completely killed the idea of friendship with God. How could God be my friend if I kept having to kill off anything of myself to be with Him? When I neglected that there was anything good in me, I neglected that I was created by a wonderful Creator who placed something good in each of us. Sin affected my life, but it didn’t completely wash away what God intended for me at my conception. We are God’s handiwork, created in Christ Jesus to do good works, which God prepared in advance for us to do (Ephesians 2:10). 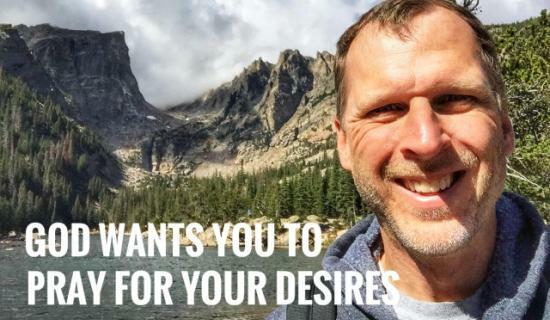 As our friend, God wants us to tell Him our desires. It is only through processing these desires with Him that He is able to redeem them in a way that His original plan can be discovered in them. We are not all supposed to look alike. We are not all going to enjoy hours in a prayer meeting or Bible study, no matter how sacrilegious that sounds. God created us and placed within each of us a unique way of expressing Him to the world. When we kill or ignore our desires, we lose our individuality and lose our unique expression. God loves you and likes you just the way you are. It would not be unconditional if we had to adjust who we are to enjoy the friendship. God’s death on the cross has given us direct access to His throne. His grace makes it impossible to hinder that relationship from His point of view. If your desires are worldly or harmful, God will not run away from you. But, bringing them to Him, is bringing them into the light, which maintains our relationship with God. It also strengthens our relationship because we experience His unwavering delight in us, even when we are not perfect. He is not turned off by our desires. Also, as we pray through what we want, we start to bring clarity to our understanding of the situation and start to see things from His vantage point. As we do this, we gain a bigger picture and can pray for things from His perspective. But, when we limit our prayer to only what we think He wants to hear, we close off our ability to hear His voice to only what we think we should hear. Having a free and open conversation with God allows Him to be free and open with us. It is not that our desires are unimportant or the most important, but by praying them to God we gain His perspective. As we talk them over with His, we start to see what desires were originally put there by Him and what has been tainted by the world and sin. By ignoring our desires, we don’t remove them; we only hide them until they turn up in ways that haven’t been processed with God and usually in unhealthy and sinful ways. This is why God wants us to prayer for our desires. He knows that by doing so we will find the gold He wants to expose to the world.